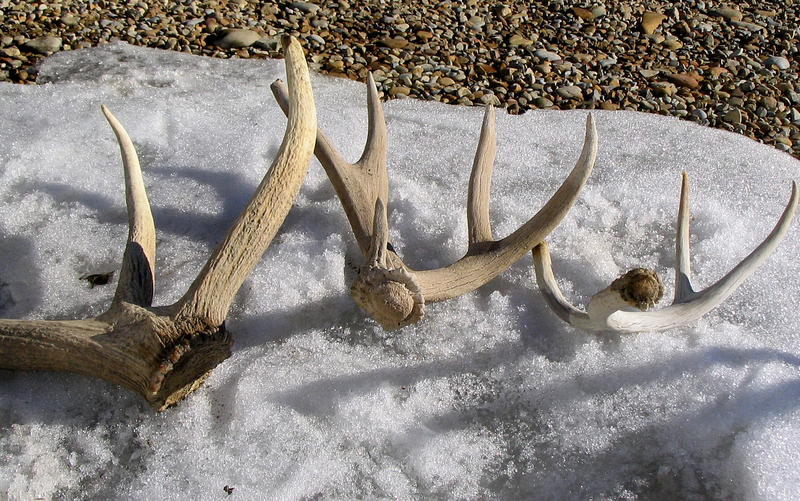 Answer: There is no provision in the Fish and Game Code prohibiting someone from picking up a set of antlers attached to a skull and carcass found on public land. However, this would likely appear suspicious to a game warden. Anyone who chooses to do so should be aware that pursuant to Fish and Game Code, section 2000, possession of any part of a fish or mammal in or on the fields, forests or waters of this state while returning therefrom with fishing or hunting equipment is prima facie evidence the possessor took that fish or mammal. Please note that there are exceptions for U.S. Fish and Wildlife Refuges and National Parks though. On these lands it is illegal to collect antlers or to take any animal or it’s parts unless they are taken legally while hunting or with a special use permit. Question: Can sport fishermen who are fishing crab traps and/or hoop nets use winches to assist in pulling the gear? Answer: Your son must be the required age (12) by July 1 to apply for an apprentice (junior) deer tag. He will, however, be eligible to hunt in the junior hunt as a 16 year old because he will only be 15 on July 1 during his last year of eligibility. Question: Is it legal to gaff a keeper salmon in the ocean instead of using a net? Answer: Anglers fishing from boats are required to carry landing nets that are a minimum of 18 inches in diameter. It would be best to always land fish with minimum size limits or special regulations with a landing net to avoid killing the fish in case it must be released. Anglers can be cited for violating CCR Title 14, section 28.65(d) if they gaff an undersized salmon. Question: I live in Santa Barbara and am the not-so-proud owner of a Brazilian ocelot coat that I inherited about 11 years ago from my mother’s estate. She purchased it in New York from Christie Bros. Fur Company in August 1973, just before the Endangered Species Act (ESA) became law in December 1973. I do have the receipt for it. I don’t want the coat and have contacted U.S. Fish and Wildlife Services. I was advised to contact the California department for local ruling on such issue. According to U.S. Fish and Wildlife Services, because it was purchased by my mother before the ESA, and then inherited by me at her death, I would be able to sell it within state lines. Does it mean I could also donate it to a local nonprofit organization and take a tax deduction? I would greatly benefit from either the income from the sale or the tax deduction if I could donate it. Answer: No Fish and Game Code provisions are applicable. The California Penal Code does prohibit importing and selling the pieces or parts of ocelots (and other species), or even possessing them with the intent to sell (CPC, section 653(o)). But the law does not prohibit donating the item. This entry was posted in Big Game, crabs, Fishing, Lines/Rods/Equipment, Lobsters, Tackle, Taxidermy, Uncategorized and tagged crustaceans, Deer, deer hunting, fishing tackle, ocean fishing, regulations, taxidermy. Bookmark the permalink.